Whether you are learning to ride for the first time, returning to the saddle after a break from the sport, or an experienced rider new to the area, the RA Saddle Club (Larkhill) has the horses for you. 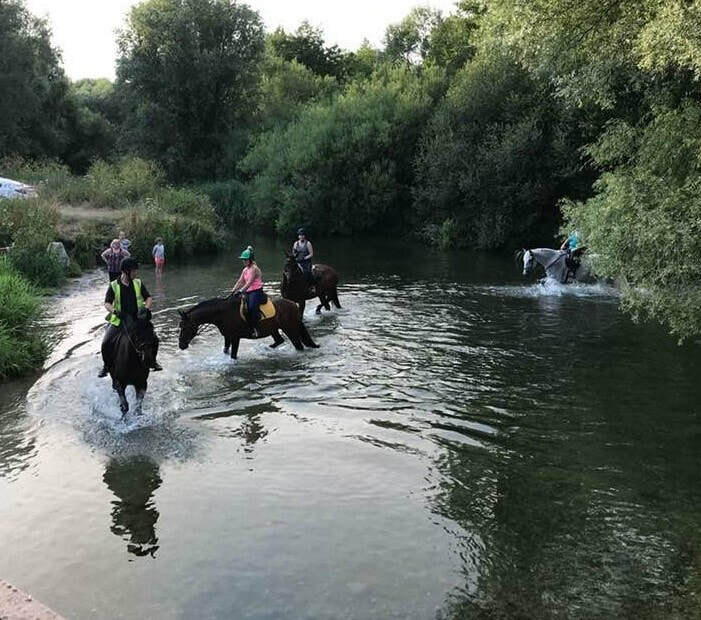 With indoor and outdoor arenas, direct access to miles of outriding on Salisbury Plain and the Royal Artillery Cross Country Course on our doorstep, we offer something for everyone. The only stipulations are that riders must weigh no more than 15 stone or 95kgs and are at least 4 years old. 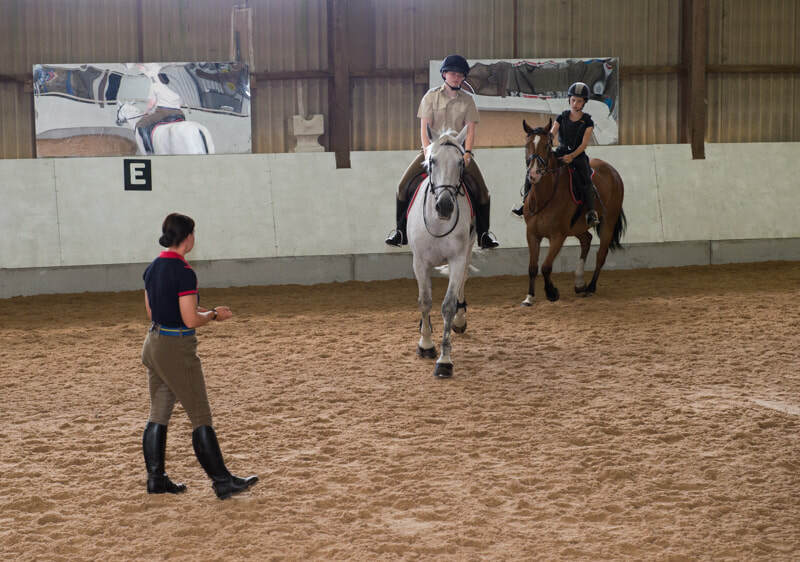 You will start with an assessment ride with one of our instructors, who will then be able to advise you on the best course of action to develop and improve your riding to help you achieve your goals - and if you’re not sure we can help with your goal setting too! See the Events page for the current lesson plan of rgroup lessons. Private lessons are available. Prices depend on your category of membership, with significant discounts for service personnel and their dependants. Contact the stables office for the current price list. Adult lessons take place on weekdays, with both private and group lessons available. The latest lesson time is 1745 hours and lessons normally last for one hour. ​There are currently no adult lessons at weekends which are reserved for children's lessons and hunting (during the season). There is the opportunity for competent adult and older child riders to go out on escorted hacks on Salisbury Plain. We are fortunate to have direct access to open country without the need to ride on roads. Hacks normally last between one and two hours. There are group children's lessons every Saturday morning with classes for both lead-rein and off lead-rein. There are after-school lessons on Monday, Tuesday, and Wednesday for differing abilities. Lessons normally last for half an hour. Private lessons are also available and are especially popular during the school holidays when we also run Pony Days. The RASC(L) actively supports the Royal Artillery Hunt (RAH) by providing hirelings for club members as well as horses for hunt staff. The RAH of course hunts within the law following an artificial trail. ​For more information on hunting with the RAH, contact the Hon Sec - www.rahsc.co.uk.